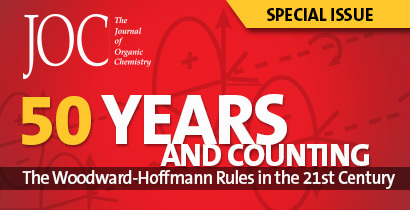 Chemistry education evolves to adapt to keep up with the latest advancements in the field. ACS eBooks provide a range of novel educational materials and classroom activities to energize your chemistry classes, as well as innovative practices to engage students or promote the study of chemistry. The following ACS eBooks are edited and written by active chemistry researchers and educators from around the world. They offer a comprehensive discussion of changes in chemistry education and share their expertise in teaching and developing chemistry curricula. A collaboration from a number of university educators who have diverse expertise in employing online and other digital resources in their chemistry classroom, this book discusses a wide array of new technologies, such as collaborative web apps, podcasting, online videos, and social networking sites, and ways in which they are currently being used in the university classroom. Read the preface. What are the best teaching practices in liberal arts, and how can they be adapted to the field of chemistry? This book explores best practices for making interdisciplinary connections and integrating liberal arts-inspired teaching strategies for a range of courses, from high school to upper-level college courses. Chapters include descriptions of themed courses and specific class activities that are all great examples of how to bring liberal arts content into a chemistry class. Read the first chapter, Introduction to Chemistry and the Liberal Arts Approach. In this book, we bring together authors who are chemistry instructors and course developers currently practicing with online methods in their online or on-campus classrooms. The courses described range from introductory general and organic chemistry courses to intermediate and advanced courses in biochemistry, synthesis, spectroscopy, and bio-organic chemistry intended for undergraduate science majors. As a collection, the chapters offer a powerful perspective on the current state of online learning in higher chemistry education. Read the first chapter, Online Courses and Online Tools for Chemical Education. Within this first volume are examples of an array of programs that focus on advances in education as well as improving representation. Whereas some of these projects are complex in both scale and execution, other examples can be implemented immediately on campuses at little or no cost. Read the preface. The second volume shifts focus to professional development in the broadest sense. About half of these contributions examine various ways in which faculty can be supported at all stages of their careers. The latter chapters outline several interventions with high schools to promote science, technology, engineering, and mathematics education and literacy. This supports the needs of the workforce need as well as a cultivating a strong interest in fostering a science-literate public. Like the first volume, Volume 2 offers examples that are large in scale as well as those that can be implemented immediately. Read the preface. The Climate Science Literacy and Education book series offers insight from students who have engaged the global community at the epicenter of international climate change negotiations. The annual Conferences of the Parties (COPs) are a vital resource that facilitates a deeper understanding of the science of climate change within a broad context of sustainability, economic equity, social justice, and the complexities of developing multilateral policy. Chapters in the second volume address issues of social and economic justice, the energy crisis and mitigation strategies, public policy, and the Paris Agreement, which was the result of COP21 in 2015. The book cover photos, meanwhile, juxtapose the towering significance of the Paris Agreement against multiple not-to-be-crossed red lines of climate justice. Citizens from around the globe held a Red-Line climate action at the conclusion of COP21, where the Paris Agreement was adopted. Contact a representative to learn more about getting access to ACS eBooks.